If you are a girl who pursues personality and like the trend, but hate the tedious. 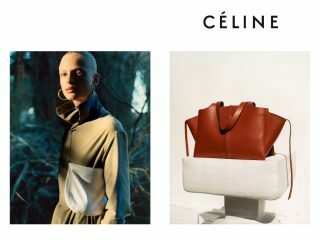 The Celine bucket biker leather bag will be a great partner for your trip with simple design, and it reveals fashion. 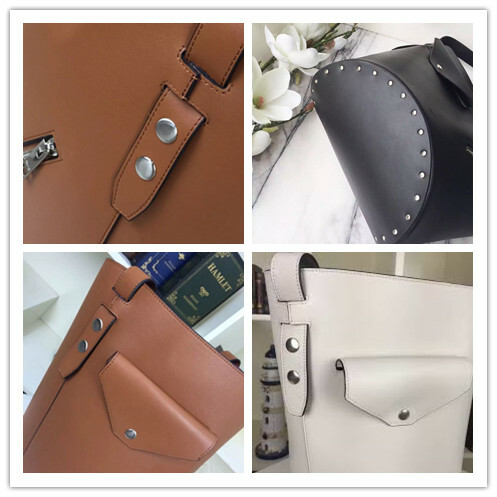 This bag was launched in 2017, because the brand has seen the large market demand for bucket styling bags. 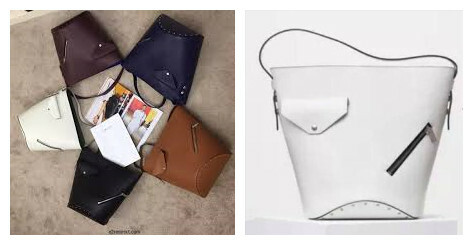 Celine bucket biker bag is designed in solid color, body and strap are the same color, and there is not much modification. 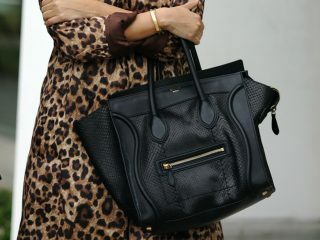 But even such a low-key bag has entered the forefront of It Bag. 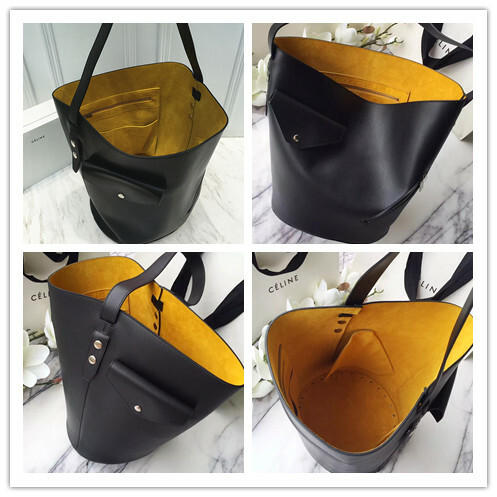 Let’s also take a look at this bucket bag. 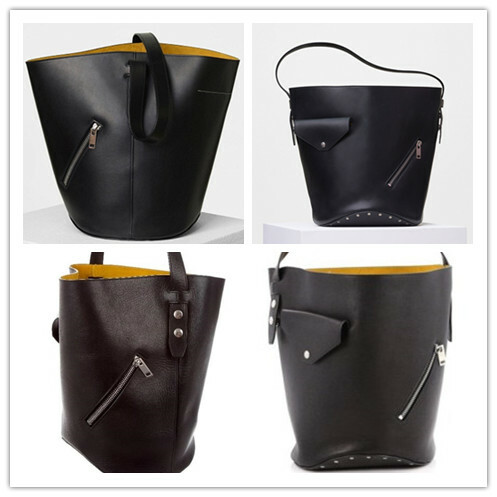 In terms of appearance, it is a large-capacity bag with a bucket shape. But the details of the body can reflect the careful requirement of the brand. The strap is fastened on both sides by the snap fastener to adjust the length for a more comfortable feeling. One side of the bag is decorated with two pockets: a flap pocket that allows people to put what they need often for easy access. The other is a zippered flat pocket that can hold small items. The zipper is designed to be safe and stylish. While the other side of the bag is not decorated, except for an open flat pocket. Overall, this is a simple and stylish daily commuter bag. When it comes to buckets, the capacity has to be discussed. The capacity of this shape is 1.5 times that of the general bag. Therefore, women who have a need for space can choose this bag and can pack everything you need. 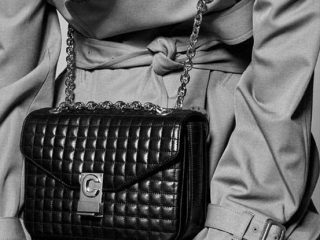 Taking the black bag as an example, let’s take a look at how magical the interior of the Celine bucket biker leather bag is. With open closure, the internal space of the entire bag is fully displayed. 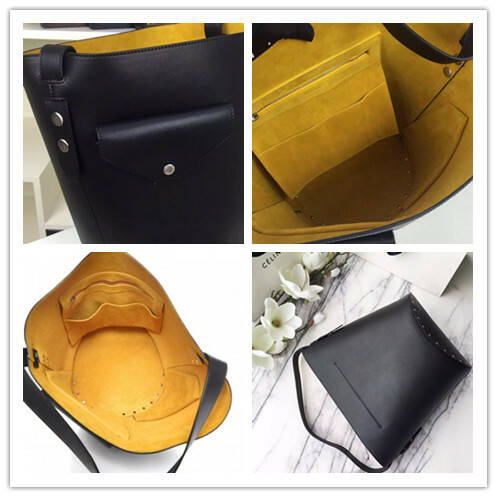 The lining is made of bright yellow velvet, which is soft to the touch and contrasts with the black leather. The outer skin and the inner lining are low-key and picky, which is the charm of this minimalist. But yet it is intriguing fan, more special. In addition to the flat opening pocket on one side, the interior is not layered. If you really need a separate space, try a small bag to sort items. 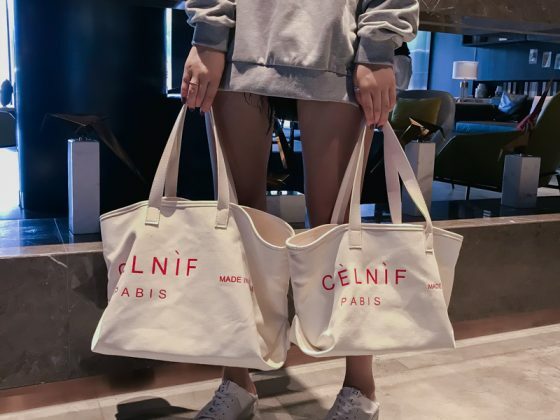 The bottom of Celine bucket biker leather bag is round that can offer a strong support and can be placed anywhere without worrying about dumping. 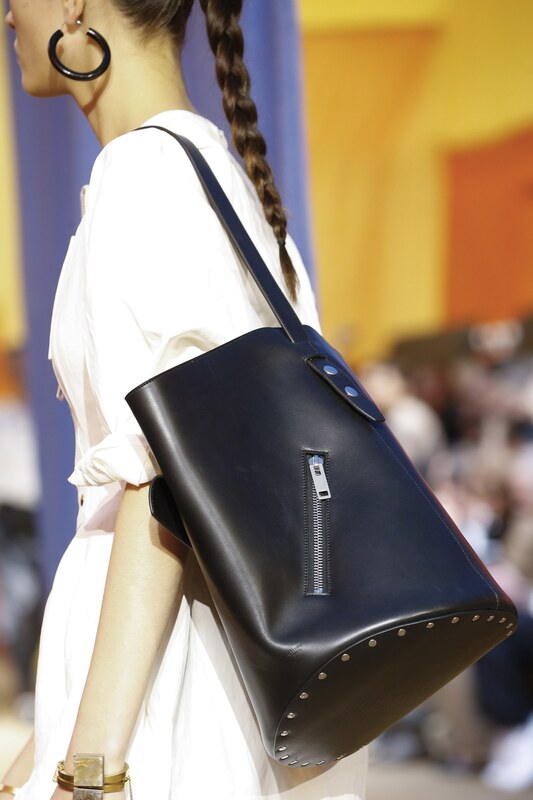 The rivet decoration around the bottom is more rock-and-roll style, adding a neutral beauty to the bag. Jennifer Garner has a black one to match her stripe sweater. 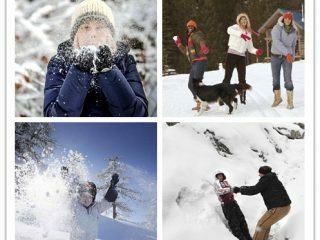 And even in winter, she still like to hold it outside. She is the really fan of this bag. The Same Is True of Cowhide And Why Is This Only Type of Cowhide Most Popular?